Whether you’re planning an extravagant wedding or simply want something small and stylish for family and friends, our dedication to detail remains the same. 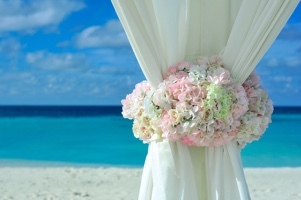 We’ll listen to your vision and provide the bridal flowers and wedding décor to match. We will help you add to the magic of your ceremony by providing personalized intimate floral designs that will enrich the atmosphere. Finding the right location to host your wedding can be a tedious task, let us ease your burden. We provide venue recommendations and bookings for weddings of all sizes to ensure that you find just the right location for your special day. From beautiful beach fronts, to elegant indoor venues, we will find a setting that complements your style and fits your budget. If you’re in need of some unique wedding favors to match the theme of your special day, we can help you add just the right touch. While the memories of your wedding will surely live on forever, giving your guests unique wedding favors will remind them of your magical day as well as thank them for being a part of your celebrations. Bring a little extra joy to your guests by offering them customized island gifts, personalized chocolates or choose from an array of diverse goodies. While getting married is mostly a joyous occasion, there are some legal procedures that can become stressful. Don’t let these procedures dampen your spirit. We can work with you to help make this process as easy and seamless as possible. We’ll provide you with information so that you know exactly which documents are required, where to obtain them, and assistance with timely processing and submission. We can offer you various musical selections from ceremony to reception. Keep your guests smiling and entertained during your special day with some of the best artists our Island has to offer. Dance to the energetic beats of live bands or the soothing melody of steel pans while you take in all the elegance and romance of your ceremony. 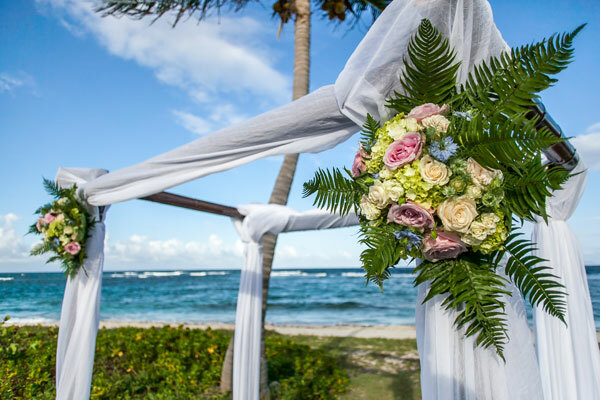 Our experienced staff can take you on an adventure before (or after) your joyous ceremony with fun-filled island excursions by land or sea. We can offer you relaxing catamaran cruises or more adventurous activities; our experts show you the most beautiful hidden places on the island. We offer top of the line wedding planning services with flawless execution and unmatched attention to detail, leaving your special day nothing less than fabulous! We’ll carefully listen to your ideas so we can fully understand your style and passion. 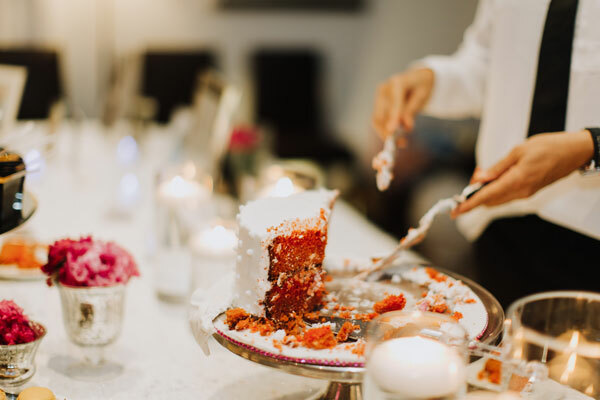 We will assist you in handling every detail, from choosing the right colors to perfectly match your theme, a photographer / videographer to capture the magic of your day, to selecting the best caterers and venues. Our customized wedding services are tailored according your needs and dreams to make your vision a reality. We provide photography and A/V solutions so that you can capture all the magic and romance of your special day. Our photographers are the island’s finest, who provide memorable photographs which transfer every moment into part of your love story. Our professional staff will arrange all your transportation needs to your events. We have vehicles of all sizes to meet your needs and all transfers are private to your guests only. Sedans, SUV’s, Limousines and deluxe vans are available for VIP Transfers. We cater to the majority of the cruise lines that call on our port. 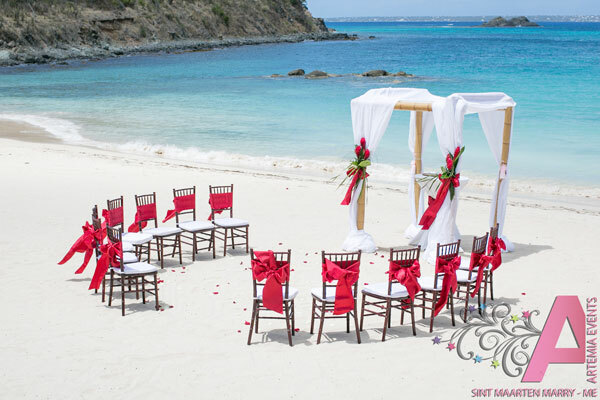 Civil unions, Holy matrimonies, Symbolic unions as well as Vow Renewals are also conducted for cruise ship passengers who would like to get married on our beautiful island. 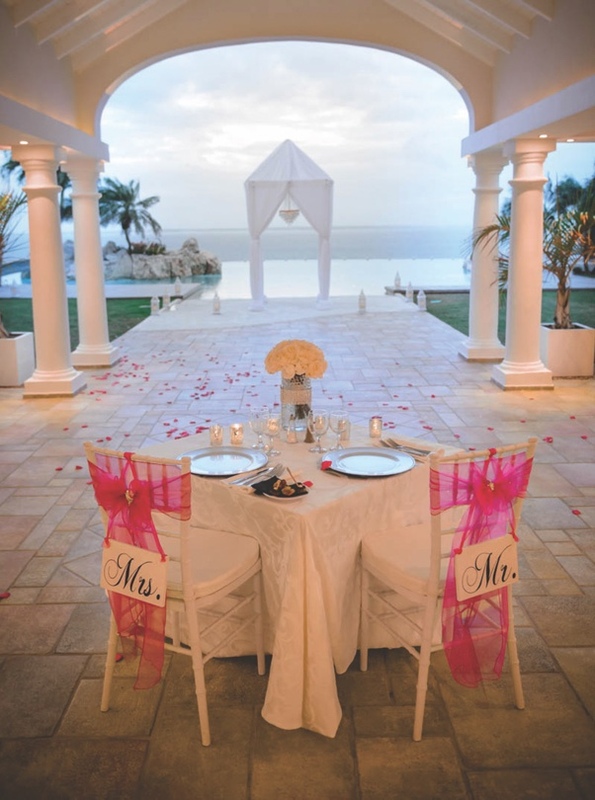 We have partnered with the St. Maarten Port Authority and The Wedding Experience to pull off the perfect dream Destination Wedding. Our highly knowledgeable planners will coordinate your catering requirements for your celebratory feast! Sint Maarten/ Saint Martin is home to some of the finest International and Caribbean cuisine. Our F&B team will provide services such as wine pairing, food tasting or a wonderful dining experience that will complement your special day.